Originally developed in 1896 by an English physicist this fascinating device is a great example of a coupled mechanical oscillator. Fairly complex physics can make a stunning demonstration of a coupled harmonic oscillator. 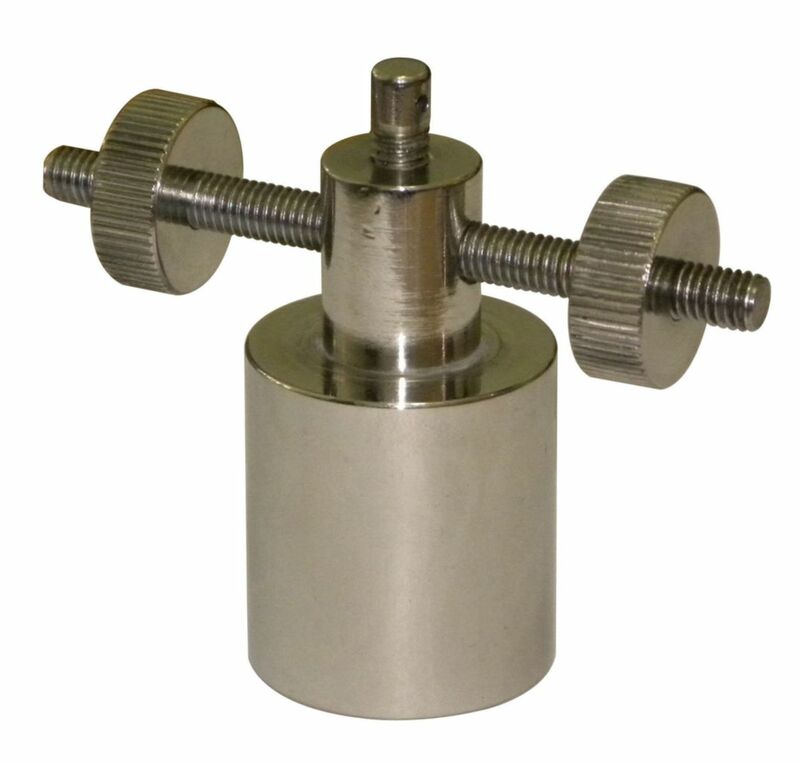 This device when pulled down will oscillate in the vertical direction and then the energy will stop the vertical oscillation and turn to rotational oscillation and back again. In simple terms what is happening is that due to the helical spring when the pendulum bob moves up and down energy ""leaks"" from the translational mode to the rotational mode creating this stunning effect. Great for either an executives desk or an advanced and stunning physics demonstration. 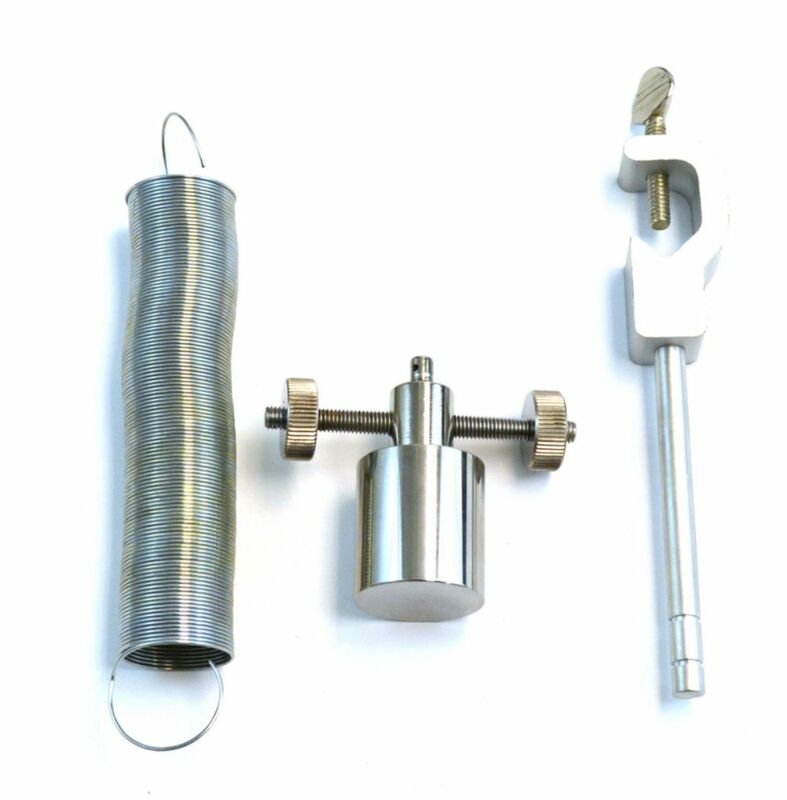 Ordering information: Kit Contains (1) Adjustable Wilberforce Pendulum Mass, (1) Helical Spring, (1) Mounting Rod connected to a boss head clamp.